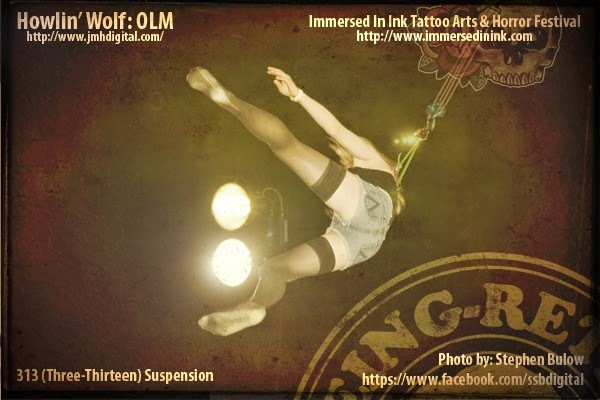 Immersed In Ink Tattoo Arts & Horror Festival... HUMAN SUSPENSION: Yes, this is right. The act of suspension is hanging the human body from (or partially from) hooks pierced through the flesh in various places around the body. We do this as a performance art, which amazes many people. 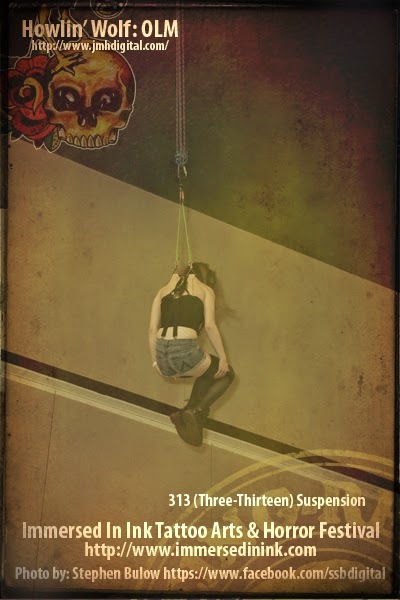 The common person doesn't think to lump people hanging from 8 guage hooks in their body to be in the same vein as something as traditional as ballet. 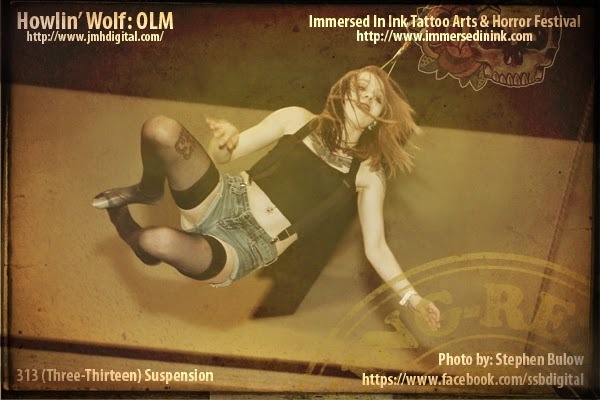 It takes an open mind to watch, but our shows are intense and fun! Wow, just wow... feel free to look at the video, it's very cool... yet not suitable for everyone!